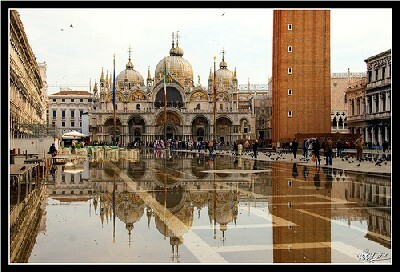 Venice: a city or a dream? The city of Venice is one of the most colourful, evocative and beautiful cities of Italy and the whole world. It rises four kilometres from the mainland, in the vast Adriatic lagoon, situated at an altitude of nearly 2 meters above the sea level, the city has about 330,000 inhabitants and covers an area of 457 municipal square kilometres. Water is present in every corner of the city. Canals and buildings that seem to come out from the sea, boats, motorboats, yachts and the famous gondolas (11 meters long and 1.20 meters wide), make Venice unique. This city of art is a unique cultural, artistic and tourist centre and is also a very impotant university. Its origins go back to the barbarian invasions, when, in 451 AD, some populations from the Veneto areas fled on the islands of the lagoon. 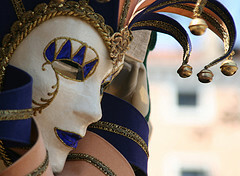 Two things make the city of Venice unique in the world: the famous Carnival of Venice, dating back to the X century and which is considered the most important Italian Carnival and the Historical Regatta. 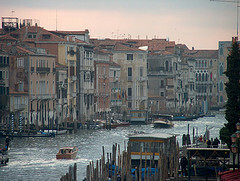 This is a parade of boats – including the splendid gondolas – which made the history of the city. The city of Venice is situated in the heart of the beautiful lagoon and is divided into districts, called “neighbourhoods”: San Marco, Santa Croce, San Paolo, Dorsoduro, Cannaregio and Castello. The point of greatest interest is Piazza San Marco, always crowded with tourists and the inevitable pigeons looking for something to eat. On the square stands the Basilica di San Marco, one of the masterpieces of the city whose construction began about 1300 years ago. Venice is not only Piazza San Marco and many other places are worth a visit, starting from the magnificent Canal Grande with the Rialto Bridge, the Palazzo Ducale, the churches of Santa Maria della Salute and Santa Maria dei Frari and the Gallerie dell’Accademia. It is essential a visit to the beautiful islands of Burano (where the laces are made with an ancient technique that has been handed down from the XVI century), Murano (famous worldwide for its glass) and Torcello (already inhabited in the I century AD). And then what about evening and night? Venice is a city offering the right premises for every taste. Lately they were born many local open till late at night with the right music and the right drink. The best suggestion is to go out aimlessly walking in peace without knowing where to go and without fear of getting lost. Perhaps with someone you love beside you!